This weekend we headed a few counties north to visit my sister and her husband. It was our last chance to get away as the growing season is almost upon us. 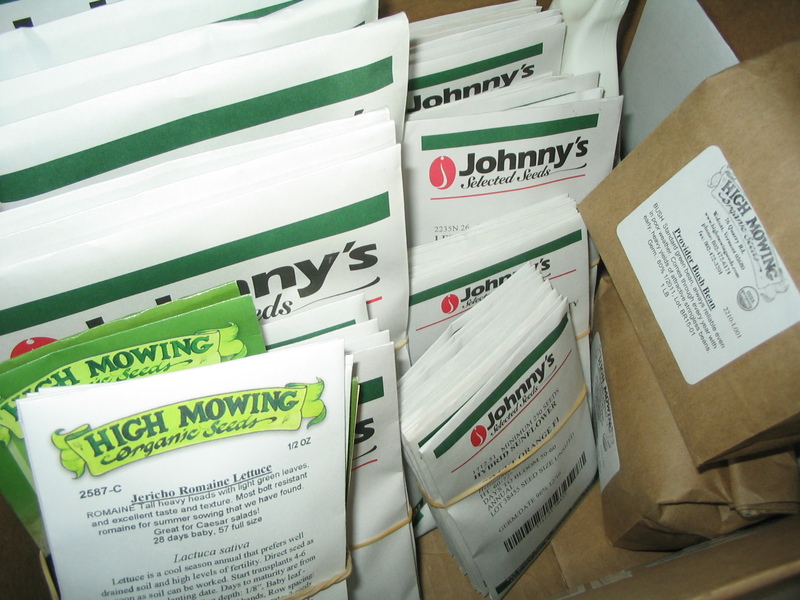 Our seed orders have arrived, and it is time to start germinating! The light is getting longer, and it already feels like spring is here! Yikes! We were very fortunate to be able to hear Eliot Coleman give a talk today at UVA. He has been a successful small-scale vegetable farmer in Maine for 40 years, and has written several very influential books on the subjects of growing organically and growing year-round with minimal inputs. As young farmers in 2003 we first read his book Four Season Harvest, and it truly inspired us as to what is possible with farming at a small scale. Reading his work cemented the idea in my mind that yes, it is possible to farm and make a decent living, at a time when we were just starting out on this path. 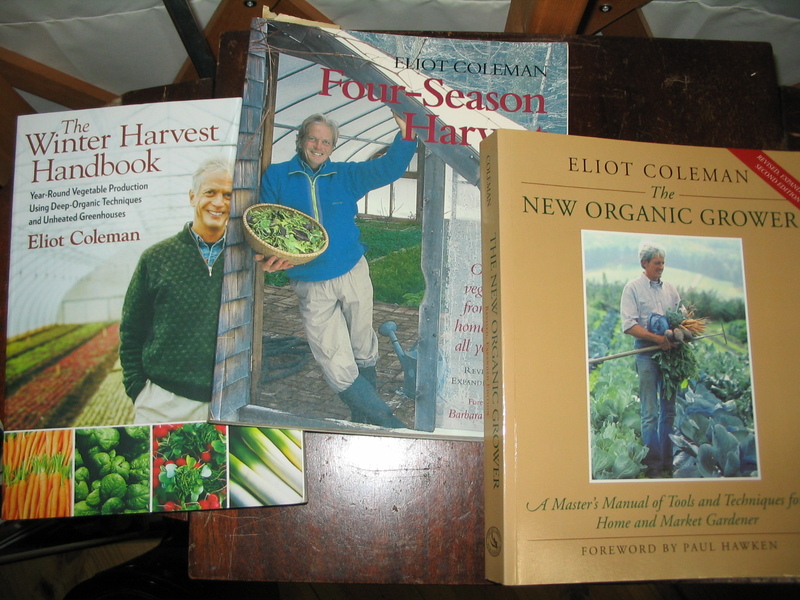 His other books, The New Organic Grower, and The Winter Harvest Handbook, have continued to influence and inspire us. So seeing him in person today really brought me back to my true intentions. Not that I have ever strayed from the intention to be a farmer or had any second thoughts about all the hard work that we’ve done to get here. I’m just ready to get going! So glad we took the time to make the trip up to Charlottesville. The deer fence project is on track, with posts set to be delivered Tuesday and the fencing contractor to arrive on Friday. 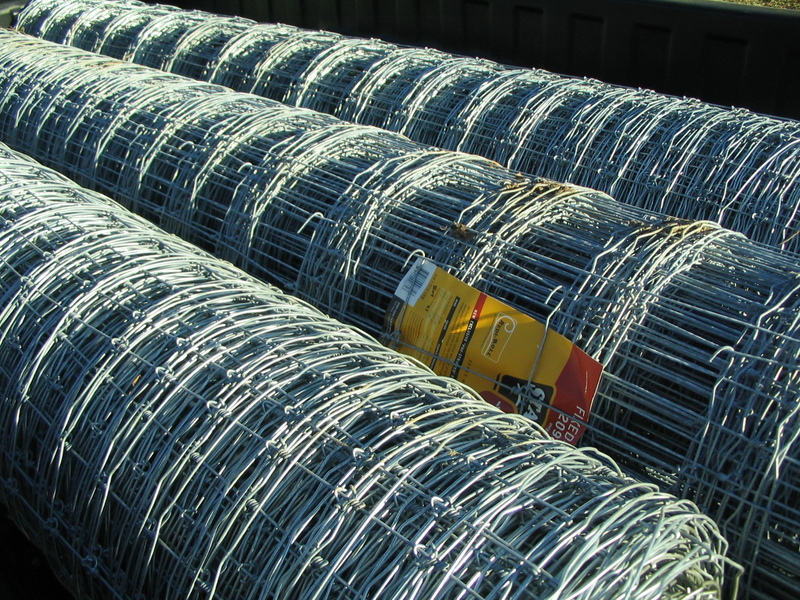 We already have the 8 foot tall fixed-knot woven wire: three rolls of it. The fence will make a big visual impact on our little farm! The weather is supposed to cooperate with temperatures forecast to be in the 70s on Friday! 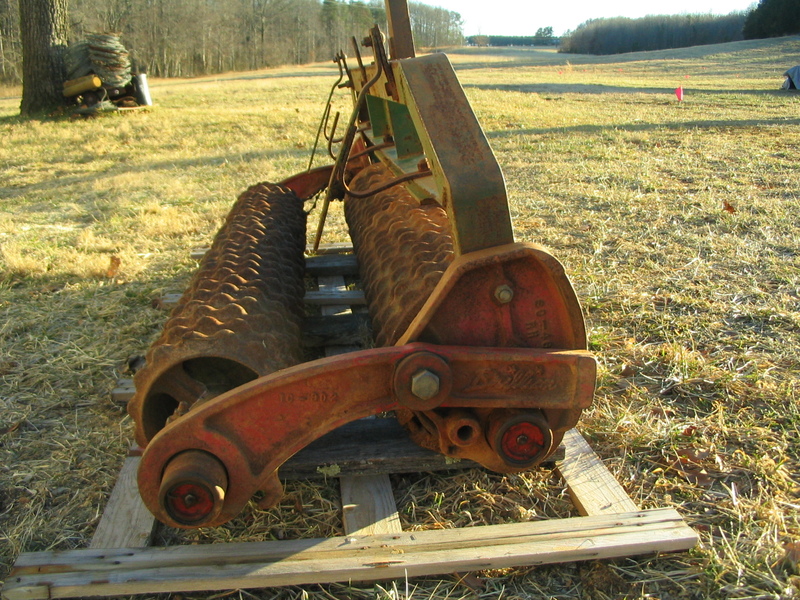 Gavin bought this Brillion Seeder from a local farmer who had used it in his tobacco production and no longer needed it. We will be able to quickly sow cover crops with this! The seed box is in need of some revamping (and is not shown in this picture as Gavin has taken it to a local welder and sheet metal worker). We will also be able to use the seeder for spreading soil amendments. This implement should be a big time-saver for us! Hi Meredith, I just checked out your blog again, it’s always so interesting. I just can’t imagine all that hard work the 2 of you do but guess you have to enjoy it. Our weather is getting nicer too but I know we have a lot of winter ahead of us and we have lots of snow to get rid of. Your mom keeps me up on most things all of your kids do, I do enjoy her email. Your mom keeps so busy but I know she enjoys being busy. I can’t imagine what you have to deal with up in Minnesota in terms of snow!!! But I guess it makes the spring and summer that much sweeter. It is 60 degrees here today, and sunny!